Happy Halloween! I signed up to bring dessert (of course) to an office potluck lunch, but wasn’t sure what to make. Then I saw a TV commercial with trick-or-treaters and Kit Kat bars and the light bulb went off in my head: homemade Kit Kat bars! These aren’t a fancy-shmancy individually dipped in chocolate homemade candy bar; they’re a pan of bars that you cut and serve. Easy to make and really good. They don’t taste exactly like a Kit Kat, but they taste pretty fantastic, with sweet brown sugar and butter filling between layers of crisp, salty crackers, topped off with a soft blanket of chocolate, butterscotch, and peanut butter. I’ve made these quite a few times, but it’s been years since the last time. Right after I put them in the refrigerator to chill and sat down to type this blog post, I got an email from one of my good friends, who happens to be the person I got the recipe from. She said she got the recipe from a co-worker’s wife many years ago, and that she remembered eating them and thinking I would like them. She was right! At the top of the recipe, she wrote “A recipe for those of you who appreciate a good treat.” So true. The original recipe calls for Waverly crackers. I couldn’t find those, so I used Club Crackers instead. 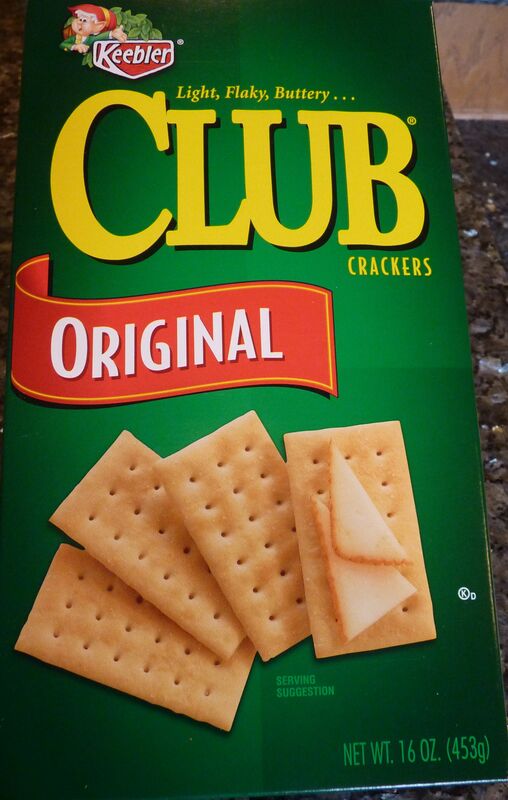 The Waverly people, whoever they are, may not agree, but I think the Club Crackers are pretty much the same thing. I used unsalted butter, but I bet you’d do fine with salted too. 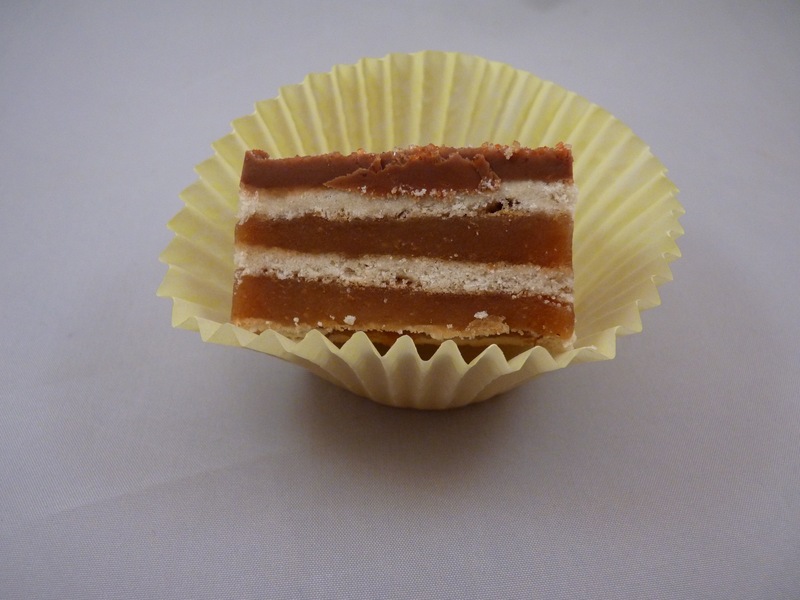 Thanks to the peanut butter in the topping, they are easy to cut. None of that rock-hard chocolate that cracks when you cut it. Spray a 9 x 13″ pan with nonstick cooking spray. Line with whole Club Crackers. Put butter, sugar, brown sugar, graham cracker crumbs, and milk in a medium saucepan. Stir over medium heat; bring to a boil and boil for 5 minutes, stirring frequently. Pour half of the mixture over the crackers. Spread to create an even layer. 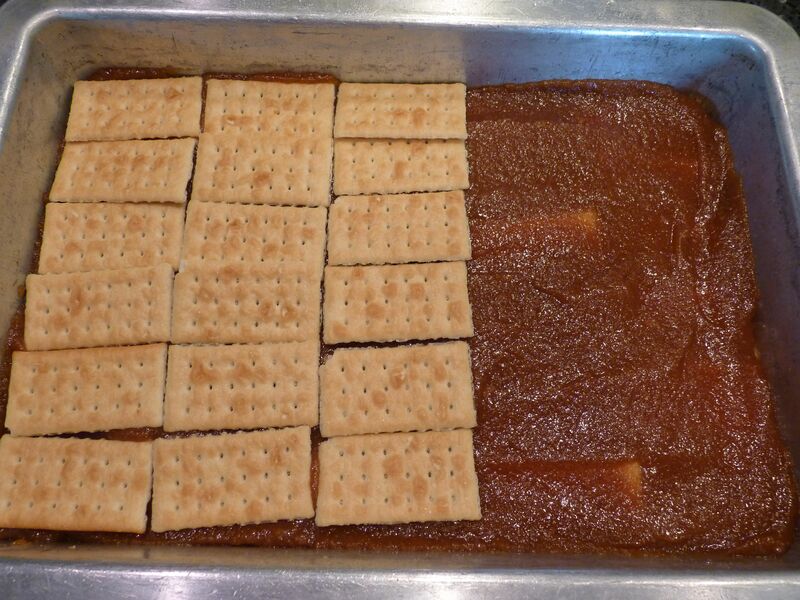 Add another layer of crackers and top with the remaining sauce mixture. Add a final layer of crackers for a total of three layers of crackers. In a small bowl, melt chocolate chips, butterscotch chips, and peanut butter. 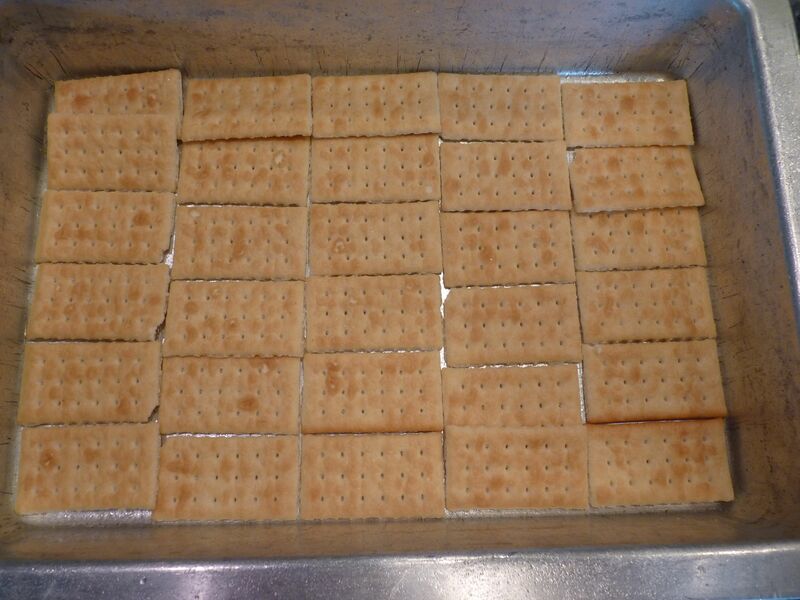 Mix until smooth and pour over the top layer of crackers. Spread to create an even layer. Refrigerate until firm. Cut and eat! Wow, Matt would love these! They look so pretty, too. I know my family would love these–my parents used to take my Kit Kats from my Halloween bag when I was a kid! I’ve never seen Waverly or Club crackers here–are they like soda crackers? Hi Mary, The Club crackers are more of a buttery-tasting cracker, but I think that soda crackers would work too – they are crunchy and salty and would work with the other ingredients. Yum! Love Kit Kats and these look really delicious! Those look awesome, Jill! They must have been a huge hit at the potluck. It’s 7:30 and I’m still full from eating too many treats at the office today. I used to love Waverly crackers when I was a kid – I haven’t seen them in years, though. I think I just drooled on my keyboard. That looks SO good! Happy Halloween!!!! Break me off a piece of that Kit-kat bar! Yummo – these look pretty fantastic! What a good sounding treat…sweet, salty and chewy. They look soooo much better than store bought kit kats! Whoa! These sound dangerous…as in hazardous for my hips. I could surely eat the whole pan. These bars sound fantastic! What a yummy treat.